TTYD Partners: Ranked – ready for some slapstick? 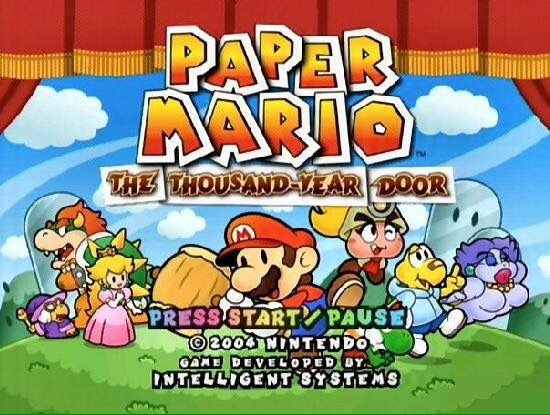 It is honestly a lot easier to rank the partners from TTYD in order of favorites than it is to do the same for the first Paper Mario game. These characters have much more distinctive personalities and backstories that give the player a better feel for what makes all the party members tick. Koops, oh Koops. This kid is far and away my least favorite character in TTYD. Though his moves aren’t bad, his personality is so annoying that it detracts from anything good about him. Koops lacks the confidence and charm of Kooper and, really, the like-ability factor that all the other partners have. Koop’s attitude is the reason Goombella gets so much screen time as I play through the first bit of the game. Ms. Mowz I’m placing this low because she’s kind of useless. She’s an optional partner so, technically, she isn’t really vital to the TTYD team or experience. Ms. Mowz’s flirty personality is kind of amusing, as is Goombella’s obvious distaste towards her. Her moves aren’t particularly powerful so she usually just ends up camping out in Mario’s pocket after she joins my team. While her field ability to seek out hidden items may be helpful to some, I’ve never found it to be that great. I didn’t know what to think of Flurrie when I first met her in TTYD. Honestly, I’m still not sure what to think of Flurrie. I will say, she’s a cool shade of purple though. Her powers are pretty useful, especially her ability to make enemies in the field dizzy before battle, and her skills in battle are solid. But I don’t care for her pompous personality, and, aside from Koops, Flurrie has my least favorite partner-specific dialogue. Vivian is probably the nicest character in TTYD. She joins up with Mario when he has no identity then stays with him even after she finds out that he’s technically her enemy. And her powers are awesome, especially being able to set enemies on fire. Out of every TTYD party member, Vivian has the best overall move list. With the added benefit of none of the moves being an FP drain. Everything starts moving so much faster once Yoshi joins the party. Or is it that Mario is just moving faster through the game with this PM spin dash replacement? Yoshi is one of my favorite partners simply due to the fact that he is a Yoshi. The first time I made it to Lava Lava Island in Paper Mario, I remember hoping so badly that one of the Yoshis would join the team. Instead, we got Sushi… But that’s an issue for a different post. I love that, in a way, the player controls what color Yoshi is, even though the some of the options are kind of ugly. Plus you GET TO NAME HIM! He may not have the most powerful moves but Yoshi for sure has the most powerful attitude. Bobbery is, without a doubt, the best old sea salt ever. I love his design and that Bomb is his main move, unlike Bombette. We get so much backstory about this guy and the tragedy he faced with his wife dying. Mario has to actually work to get Bobbery on the team and it is absolutely worth it. Bobbery is the perfect addition to complete the TTYD team. I love Goombella’s attitude and her unapologetic feelings on basically everything Mario and the crew encounter in TTYD. She’s in college, she’s driven and she seems to be a hard worker. Goombella is the perfect first partner for TTYD and does an outstanding job of setting the tone for the rest of the game. And it’s always fun struggling to figure out what enemy you missed in the Tattle Log. Great post! I love Goombella, but Vivian was definitely my favorite in Paper Mario: The Thousand Year Door. I really liked Yoshi, as well (and the fact that you could name him). Thank you! Putting the top four partners in order was super difficult because I like each of them so much. Hey, thanks! I’ll check it out and email you in the next day or so!